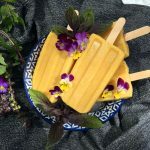 So today I officially enter the world of food blogging…… very exciting for me of course. 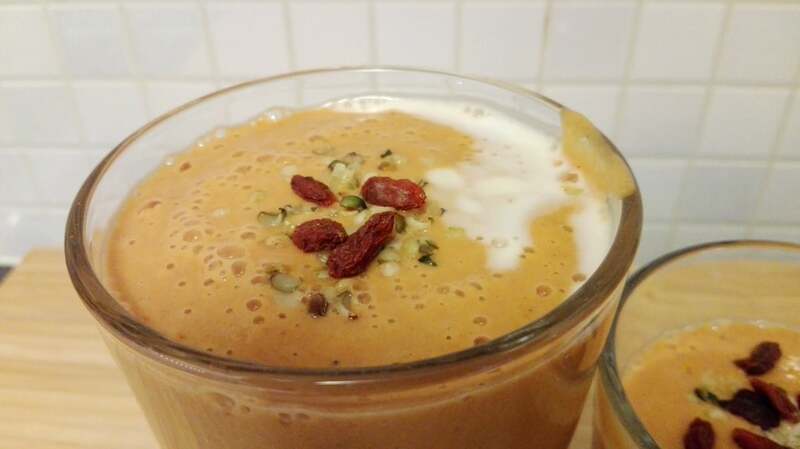 And I hope all of you out there will love this beautiful golden mango smoothie recipe. 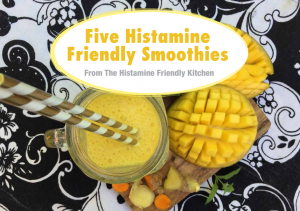 As this is a blog dedicated to recipes low in histamine or “histamine friendly” as I like to say, I hope all of you out there suffering from histamine intolerance (HIT) will enjoy this recipe as much as me and my kids do. First off, you need some beautiful ingredients. For this recipe I used about half a mango, if you don’t want to save the rest of the mango in the refrigerator you can either freeze the other half for a rainy day when you forgot to buy mango, and feel like a mango smoothie, or just feed it to your kids/or yourself of course 😉 Both of my boys love mango, so I almost never have any mango leftover which I need to save/worry about going bad in the refrigerator. 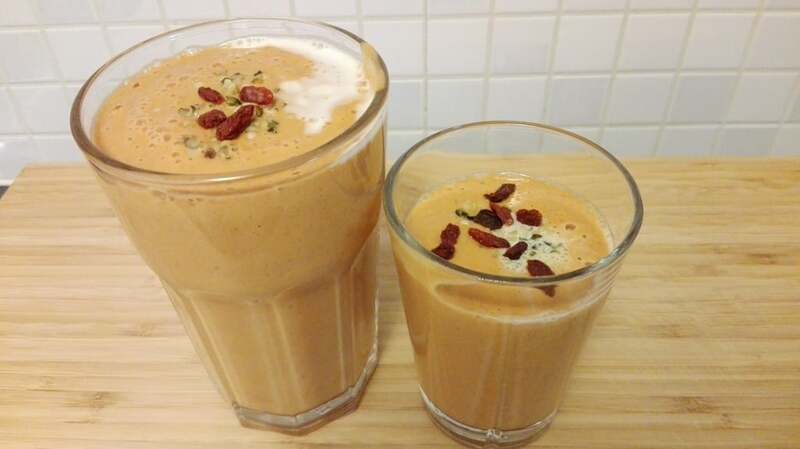 I use dates to sweeten this smoothie, and the amount depends on the ripeness of the mango used. 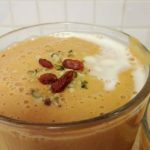 To achieve this beautiful golden color I add goji berries, just a small handful 😉 For some protein I add a bit of hemp seeds and some goat milk yoghurt (if you don’t like goat milk yoghurt you can add the yoghurt of your preference or simply leave it out. NB. not all types of yoghurt are equally well tolerated). As a lovely extra benefit the hemp seeds contains some healthy fat and some extra fiber. 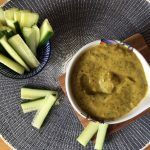 This recipe serves 1-2 people depending on your appetite and how many hungry children who want to share…. 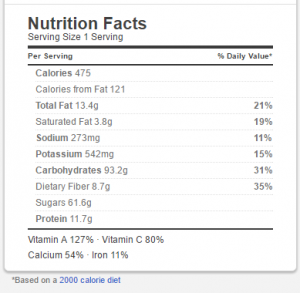 The nutrition facts are based on one person eating/drinking it all. Hi and thank you for creating a blog on the subject! 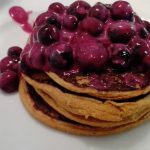 I want to try this recipe with some tweaks such as using coconut milk instead of almond milk since I can’t tolerate almonds due to another health problem, however I don’t know what to do about the dates. My understanding is that any dried fruit, including dates, are high in histamine and to be avoided. They fall in the category of “aged” since anything aged and/or fermented can be problematic. I’m so sensitive to histamine that I’ve found even leftovers are a problem for me. 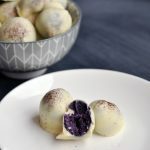 So I’m wondering if there is a substitute for the dates in this recipe you can recommend? Also, I haven’t tried goji berries but I seem to do alright with blueberries and may try those instead, at least until I know if I can tolerate goji berries! Thank you! As for the dried fruit….. this is a very individual thing, and for sure all of the lists don’t agree on this point. 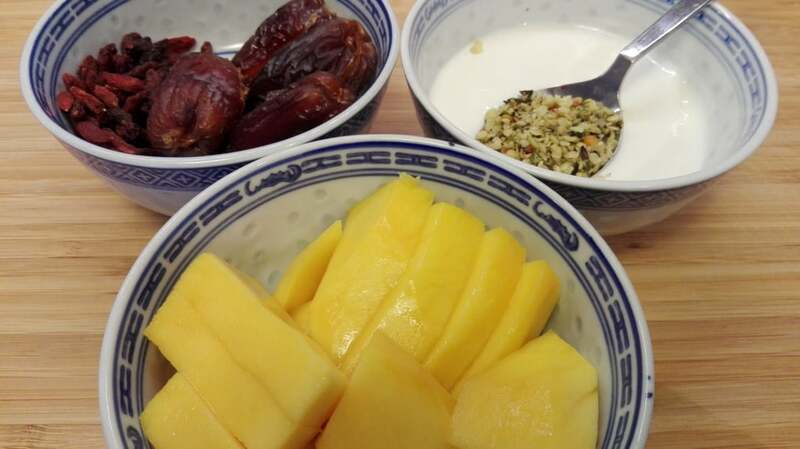 One very important thing about the dried fruits, it is really important to get unsulphured dried fruit, since that is a trigger for many people. My advise to you is to try out the dried fruits one by one, when you feel ready for it. I have been tolerating the following dried fruits throughout the entire process: dates and goji berries. A little later added raisins, cranberries, apricots and figs. 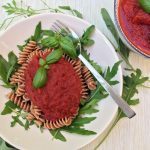 Thank you for this blog and the recipes . I just found out I have HIT and can’t wait to try some of your recipes. Would you share the Almond milk brand you use for the smoothie ? The ones available at our local grocery store contain guar gum and other additives which I can’t tolerate . Thank you.